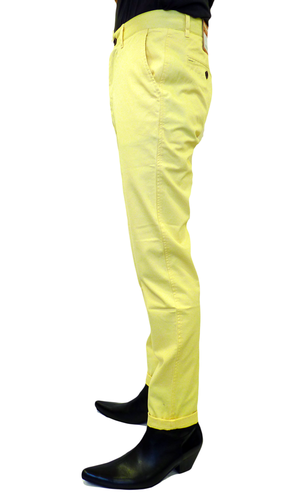 FARAH VINTAGE 'THE CHESTER' MENS RETRO IVY LEAGUE COTTON TWILL MOD CHINO TROUSERS (Buttercup). Classic Retro Clothing that delves into the Americana archives. Pitching in with an Ivy League classic, it's FARAH VINTAGE with their fab Mod 'Chester' Chinos. Trousers with attitude and flair. Thanks to their innovative colour palette, FARAH VINTAGE have added a contemporary Indie twist to a Retro staple. 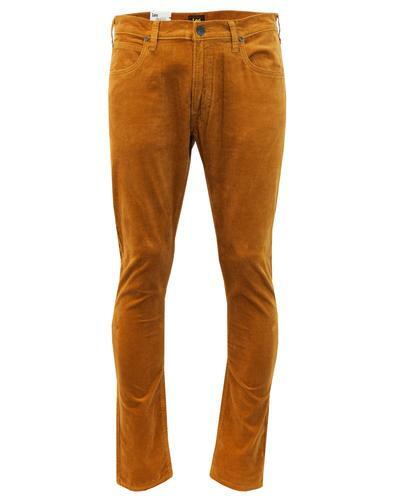 Perfect for any occasion, whether it be smart Mod or a casual Indie affair - 'The Chester' Chinos by FARAH VINTAGE. 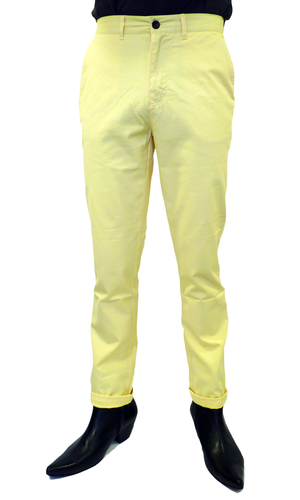 The Chester Mens Chino Trousers - 4 pocket Retro Chinos, here in a stylish, summery and unusual buttercup yellow. Featuring zip fly with button to waistband, belt loops and the classic Ivy League Sixties style turn ups to bottoms. Neat Retro stitch finish throughout, Mod slim leg style, back pockets are button down and there's the iconic FARH VINTAGE. 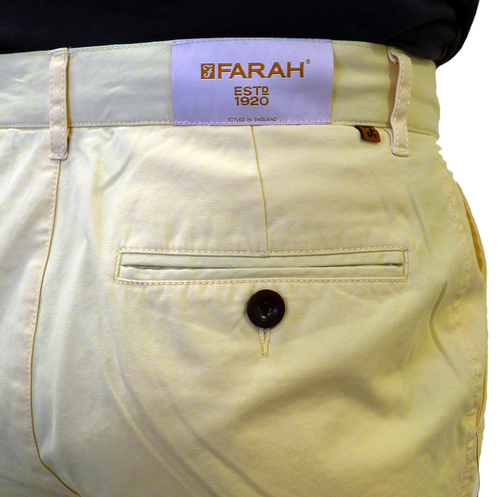 Estd 1920 woven label to back waistband as well as stylish Farah Vintage 'F' tab detail. Soft cotton twill fabric, 'The Chester' Mens Chinos are ideal for the Spring/Summer season. Great for any Mod Clothing ensemble and sure to add a distinctive finish to all array of Indie threads. 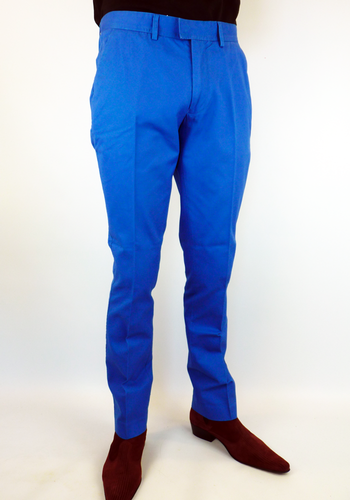 'The Chester' Mens Chino Trousers by Farah Vintage - Striking and stand out! FARAH VINTAGE 'THE CHESTER' MENS RETRO MOD IVY LEAGUE CHINOS. 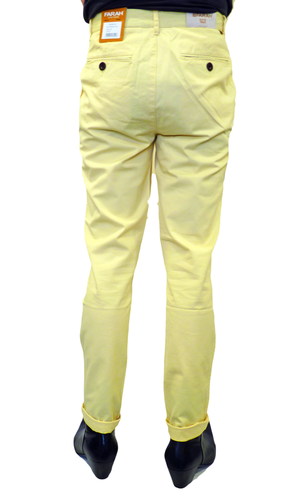 'THE CHESTER' FARAH VINTAGE MENS RETRO SIXTIES IVY LEAGUE MOD COTTON TWILL CHINO TROUSERS - Mens buttercup pale yellow Retro Chinos in a soft handle cotton twill fabric. Mod turn ups (that can be folded down if desired, 4 pocket detail (2 slant to front, 2 button down to back). Neat stitch finish throughout. Contrast button fasten and zip fly, belt loops and Farah Vintage branding to waistband at back. Lightweight construction, innovative Retro colour and cool Indie style - The Chester Mens Mod Chinos by Farah Vintage. 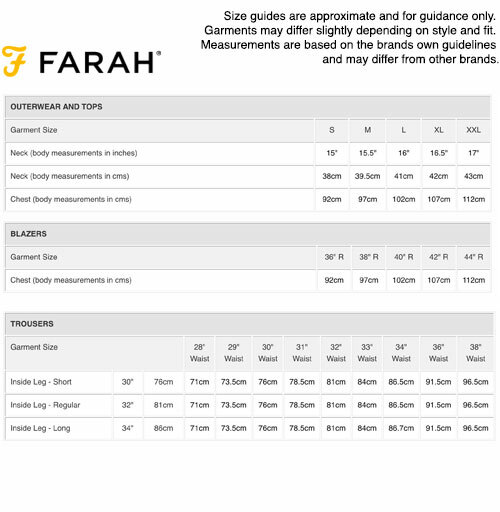 Brand: FARAH VINTAGE Mens Clothing. Care: Machine wash. Please read full instructions on garment care label. 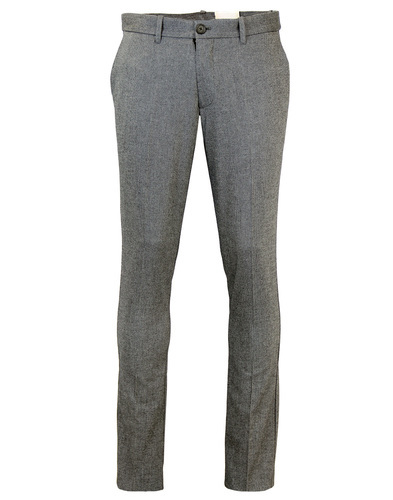 SKU: FESB0124 'The Chester' FARAH VINTAGE Mens Chino Trousers. FARAH VINTAGE 'The Chester' Mens Retro Sixties Mod Cotton Twill Ivy League Chinos.